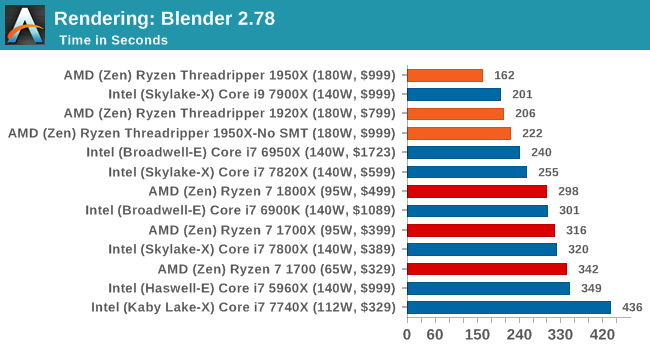 Blender loves threads and memory bandwidth. 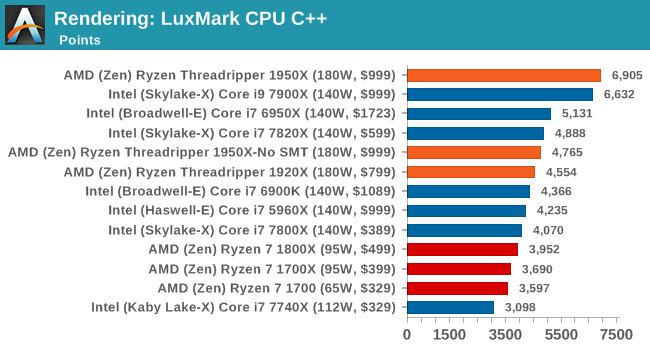 Like Blender, LuxMark is all about the thread count. 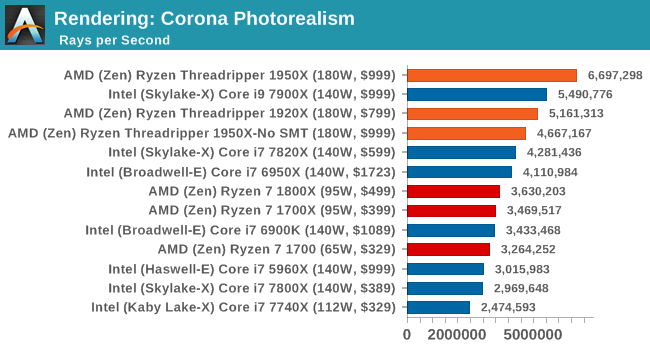 Ray tracing is very nearly a textbook case for easy multi-threaded scaling. 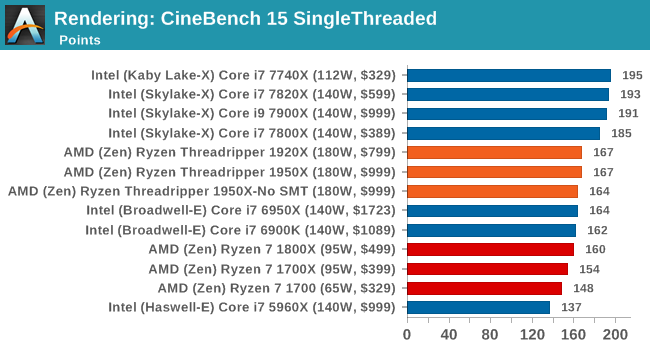 Though it's interesting just how close the 10-core Core i9-7900X gets in the CPU (C++) test despite a significant core count disadvantage, likely due to a combination of higher IPC and clockspeeds. 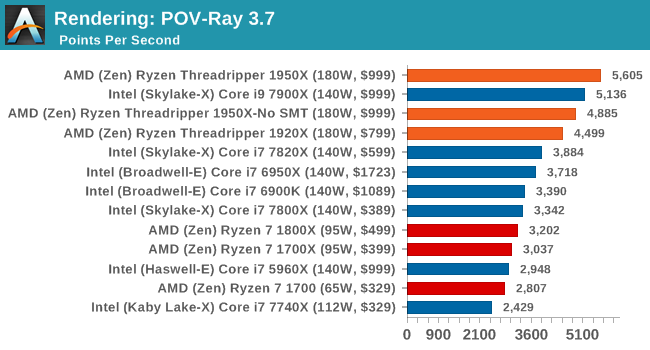 Similar to LuxMark, POV-Ray also wins on account of threads. 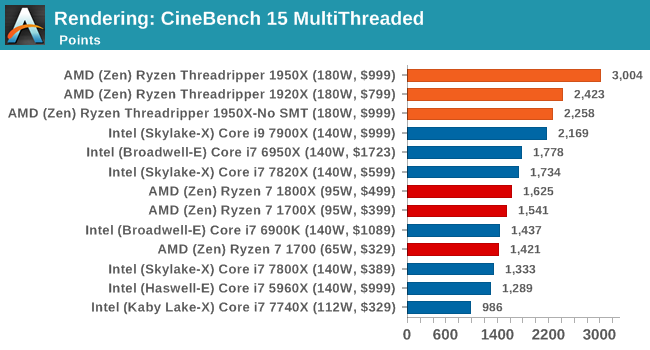 Intel recently announced that its new 18-core chip scores 3200 on Cinebench R15. 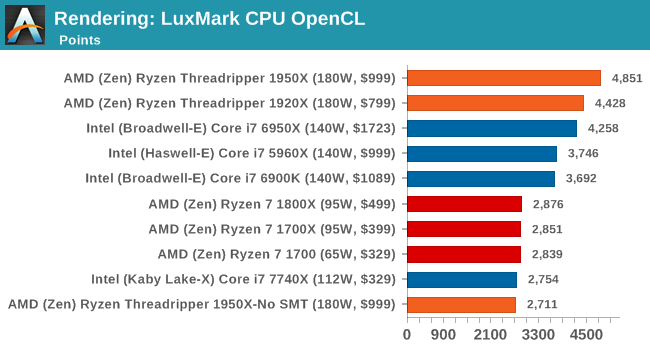 That would be an extra 6.7% performance over the Threadripper 1950X for 2x the cost.